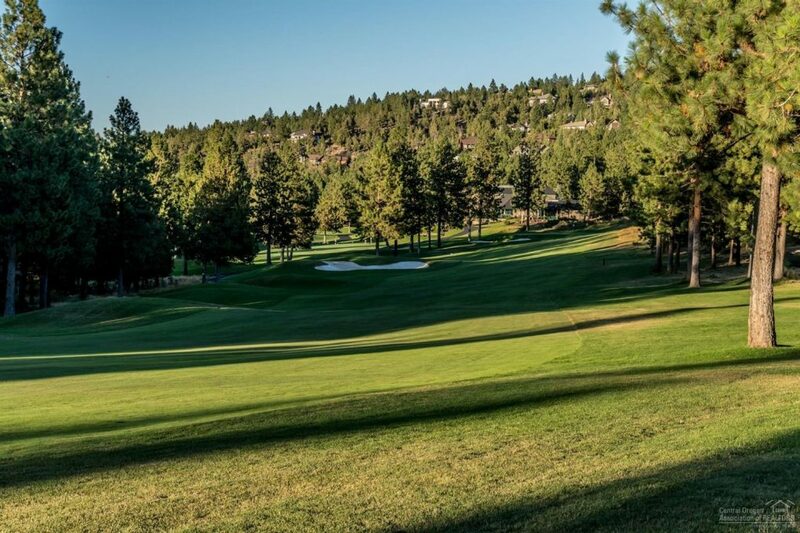 Awbrey Glen is considered one of the most beautiful golf course communities in Bend, Oregon. The gated community is rich in beauty with a variety of lovely homes, a private club that features an 18-hole course, clubhouse, fitness center, a well-regarded restaurant, and golf shop. Awbrey Glen is close to downtown Bend, Shevlin Park, Mt. Bachelor and the Redmond International Airport. It features lots of open space, a catch and release lake stocked with rainbow trout and many Ponderosa pine trees. 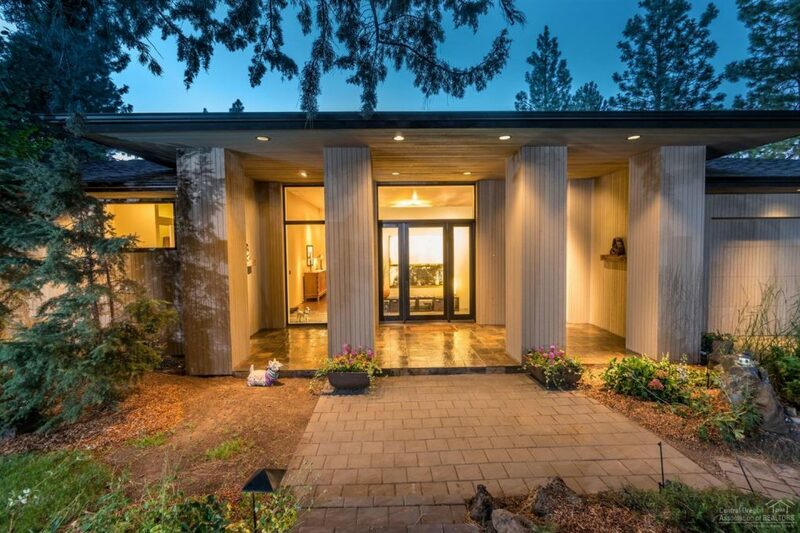 This artful contemporary was built in 1999. Its simple details, clean lines and design symmetry give it visual harmony and unique tranquility. Floor to ceiling windows offer a golf course view while filling the home with abundant light and bringing the outside in. 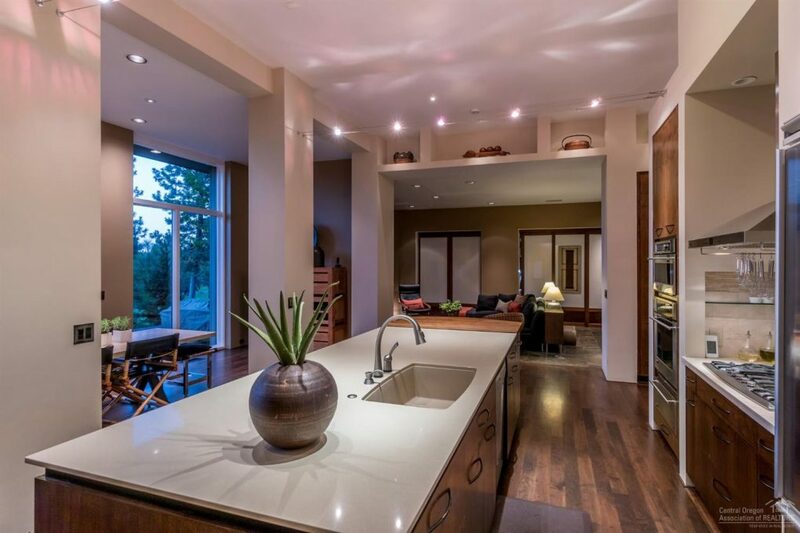 The living room and family room offer fabulous space for entertaining and the kitchen features ample storage. The three-bedroom home sits on .43 acres and offers over 3,200 square feet of living space including a home office. 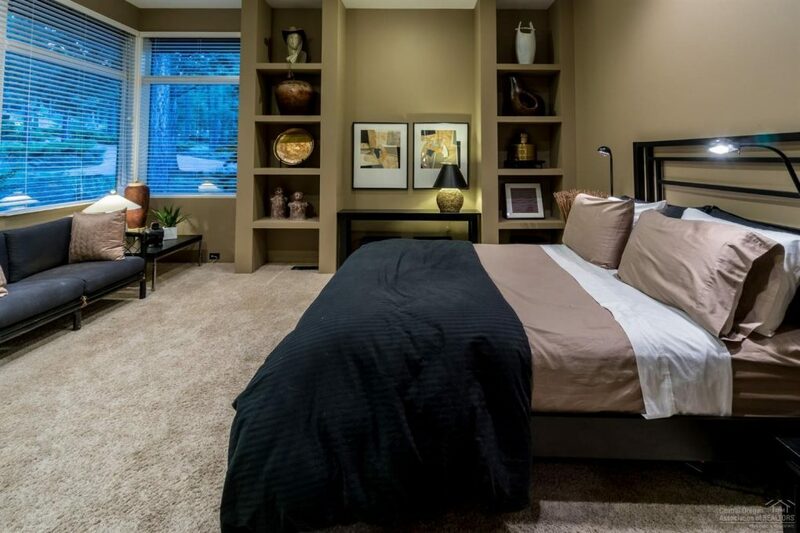 This property is listed with John L. Scott Real Estate for $950,000 and showcased by Luxury Portfolio.